You might remember a couple of years ago I wrote about an exhausting holiday season wherein my catering cart containing equipment and supplies for 150 fell over in the middle of a downtown street. I was amazed when elves descended upon me and cleaned everything up, neatly packing my vehicle before I could even say Joyeux Noel. Our recent visit to New Orleans brought in the new year with exactly the same joy multiplied by 100. I have never experienced a happier place in my life. This newsletter is so full of overflowing fantastic karma I’m sure it will last the year through, and I’m not even going to talk about the food that much!! We begin with a broken lock on our condo (which was fabulous), so while the gents fooled with it and talked with our host over the phone we princesses simply walked to the corner bar/restaurant, The Governor (a whole 50 feet). I had to potty more than anything but I ordered a drink “to be nice”. Upon hearing our plight, the manager who was closing up shop, stayed open for us and when I offered my credit card for payment said simply “don’t worry about it – we’ve all got to stick together”. seeing us looking lost, like Dover at the WWII Museum who took it upon himself to explain our best route (it’s an overwhelming place! ), were so plentiful I cannot mention them all. A thank you to Miss Yvonne of Yvonne LaFleur who HELD MY HAND throughout the entire store while trying to find what was just right (I’m so sorry the fox fur didn’t work out!). Oh! And thank you for the scarf lessons! A special shout out to Nolan from Baggage Check at the Hotel Monteleone for warm generous hugs to both Gordon and me for no reason other than we were all loving life, and to Beniel from Haiti, who upon hearing that I liked his music, whipped out the CD and gave it to me when we got to the airport!! NOW…a couple of musts if you haven’t found them yet: The Camellia Grille for the BBQ’d Shrimp Omelet and grits – Best omelet in my life (Joe yours is a close second), and plain grits that need NO SEASONING. Now you know I can make them as well as I can eat them, and I’m JUST SAYIN’… Also, Bacchanal Fine Wine & Spirits for a FANTASTIC courtyard jazz serenade with tapas, “pick your own daily cheeses and meats” antipasti, and of course, the WINE….and I can never overlook Commander’s Palace, always one of the best meals of my life. For downhome bayou gumbo that even I can eat (okra, yuck!) don’t miss Jacques-Imo’s and HEY! look this trio up and pay attention to the perfectly understated drummer: The Mark Weliky Trio. So much great food, great music, and great joy. I think it might all come back to “we’ve all got to stick together”! Baby it’s cold outside…don’t forget our fabulous soups and stews this season – great for lunch or dinner, and most can be “converted” to shot appetizers for your cocktail party! I have a ridiculously analytical mind, even though I look and sound like a dingbat much of the time. I catalogue perfect moments. There are few of them in our lifetime and I hold them dear. Our kitchen will be closed from December 24 thru January 5 in order to visit far away family this season. We look forward to literally serving you 🙂 in the new year! 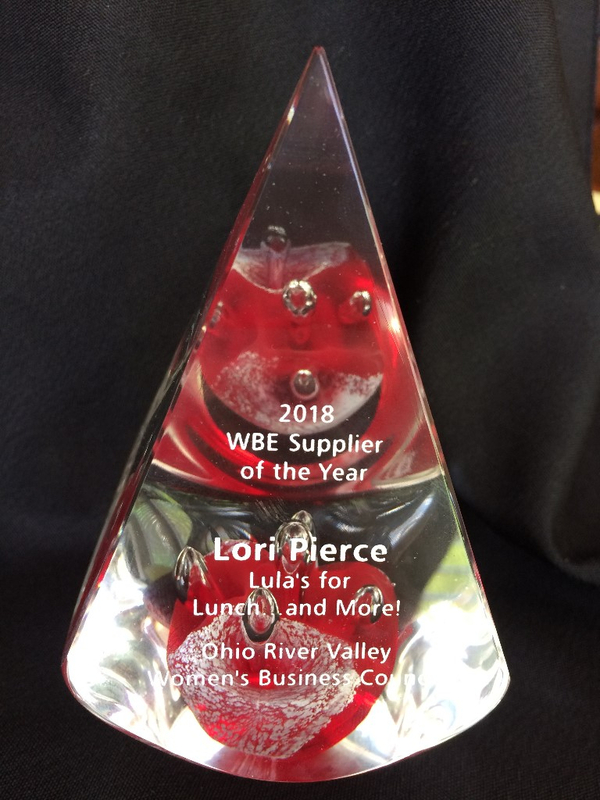 Chef Lori Pierce, owner of Lula’s, creates unique, boutique cuisine to impress your guests and clients in the Greater Cincinnati and Northern Kentucky area. 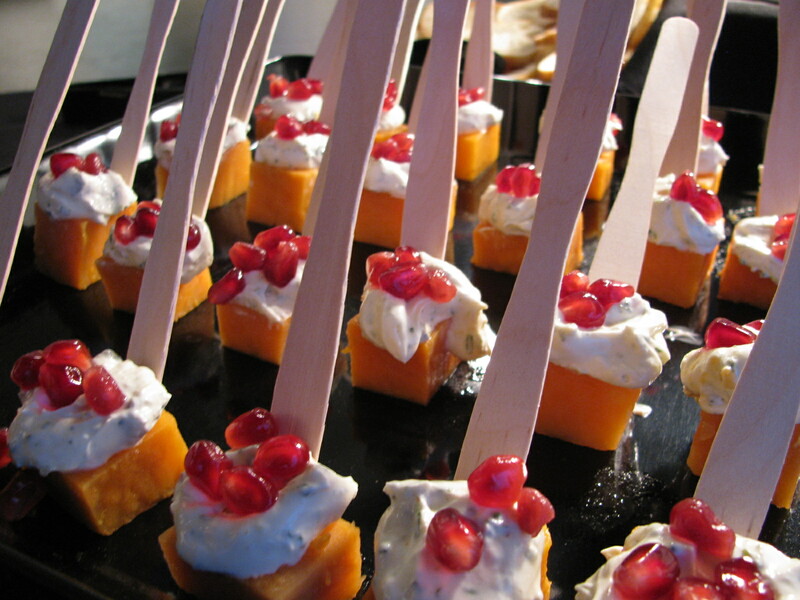 Our custom recipes and menus delight an intimate gathering of 10, a celebration for 100, and anything in between. At Lula’s, Love is ALWAYS our first ingredient! You Want To Get To The ROOT Of The Matter, Don’t You? 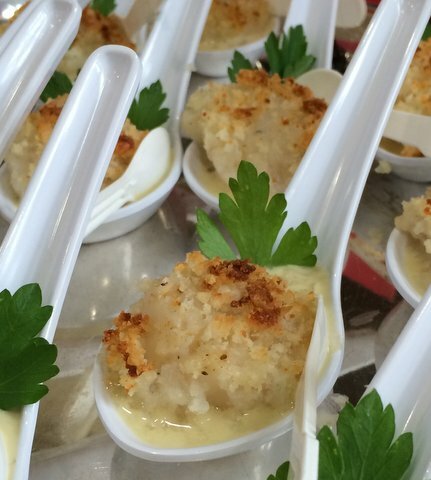 Celeriac (pictured above in Lula’s for Lunch…and More! ‘s Creamy Pear and Celeriac Soup) has a knobby, dirty, formidable looking root that you will want to peel. Because it’s starchy, in general you want to pick the smaller of the roots available to you. The end product will be sweeter. The more you cook it the sweeter it becomes. It makes a great, “different” puree when you’re looking for a base for proteins (think parsnip instead of potatoes), and it provides one of those mysterious “what’s IN this?” flavors to sauces, soups and stews. Now GET IN THAT KITCHEN and try something different! My heart is so full, I think it just might burst. EVERYONE has moments of doubt on a pretty regular basis; the best of us laugh it off, zen our way through it, pep talk ourselves into propulsion, or move forward on the shoulders of our giants. But make no mistake, we as human beings are doubtful. We’ve evolved beyond survival and have too much time to think about our shortcomings. Cyclical doubt is my modus operandi as I’m sure it is for most of you – highs and lows, highs and lows. Reflecting on 13 years of loving you through Lula’s food, I wonder about how I could possibly slow down and how that might affect the coffers in my heart. One day I began ruminating about a client and how they’re doing – haven’t heard from them for over 5 years. Low and behold I get an email – they’re not corporate moguls, but have asked me to help them celebrate a life event in the past, and 5 years later they pop up and tell me they want me to help them celebrate again. I excitedly help them plan, and the process titillates me to wonder about other clients I haven’t heard from in a while. Within 2 weeks, 3 others had popped up from 2-5 years ago, telling me they can’t imagine celebrating without me! THEN…a heartbreaker – a birthday party occurring when I am traveling celebrating my own birthday. My family’s plans are set and paid for – no turning back. So what do you think happened? A 60th birthday milestone date was CHANGED so that Lula’s could be a part of it. A total embarrassment of ridiculous riches. I’m so in love with my life!! And you have made it so. Thanks to all of you who participated in our survey – look for our new website (same address!) in January, reflecting your wise counsel!! Butter – Salted or Un? Sweet Cream Butter was originally salted for preservation purposes. It still is, and we have grown to love the flavor of salted butter. If you pay close attention though, different brands of salted butter taste differently – because every manufacturer adds a different amount of salt. One will usually get fresher butter if one purchases unsalted butter as it naturally doesn’t last as long as salted butter – check the expiration dates! If you want your baked goods recipes to always taste the same, use unsalted butter and add the required salt (a key chemical component in baking by the way). Unsalted butter will last several months in the freezer. 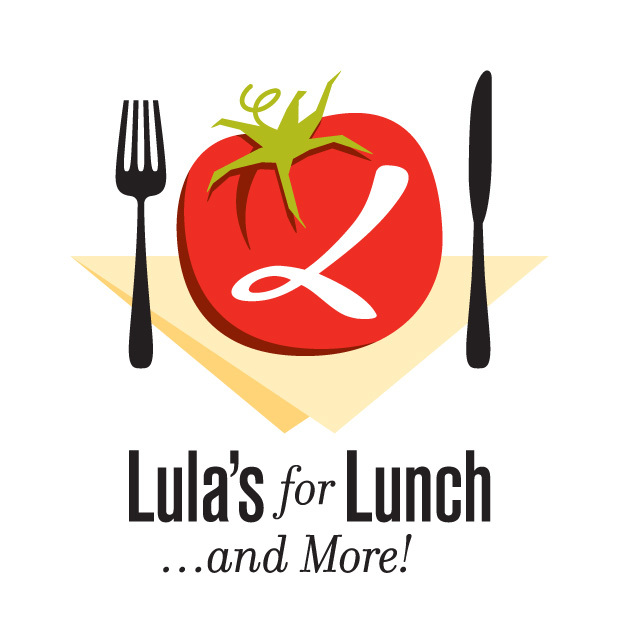 We at www.lulasforlunch.com unabashadly LOVE animal fat, but if you want a recipe prepared without it, we will lovingly prepare that too!! Lula’s is “fluffing and folding” our website and marketing materials and I would love your input regarding your perceptions of our brand! Please help by clicking here for a brief 4 question survey that will be invaluable to me. Many many thanks in advance for loving Lula’s back enough to help! IF you’re so inclined to “share the love” we are happily accepting reviews on Yelp to increase our web presence!